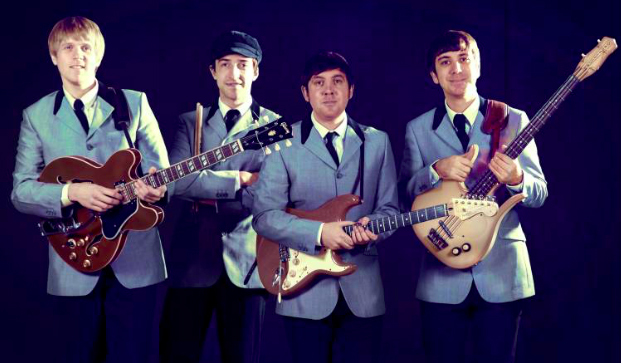 Forming in the summer of 2006, The Revolvers consist of four young guys with an unrivalled, burning passion for the greatest musical decade of all time….. We are of course referring to the 1960s. Having played over 1500 concerts, worldwide “The Revolvers” continue to wow audiences with not only their incredible musical talents but also with their unmatched authenticity. Artists covered include The Beatles, The Kinks, The Rolling Stones, The Who, The Dave Clark Five, The Hollies and Roy Orbison. From the meticulously sourced costumes that they wear to the vintage musical instruments that they use, this really is a show not to be missed.